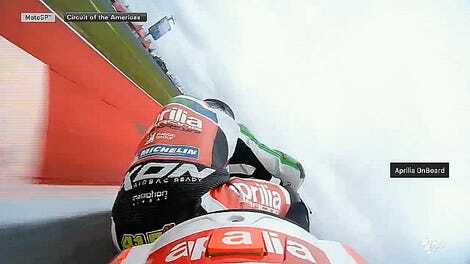 Moto3 rider Nakarin Atiratphuvapat had one incredible save during this morning’s support race for the MotoGP of the Americas. The man simply refused to let go. 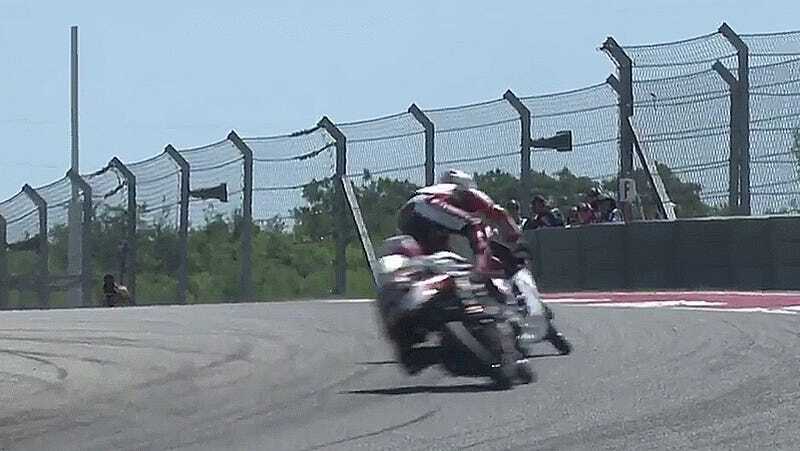 Atiratphuvapat got bucked off his bike at Circuit of The Americas’ Turn 9, but he held on for dear life and somehow managed to kick his leg back up and over the bike. Turn 9 leads into a fast downhill kink before a downhill straight, so it’s definitely a place where you need to be careful. Holy crap at this save, though.